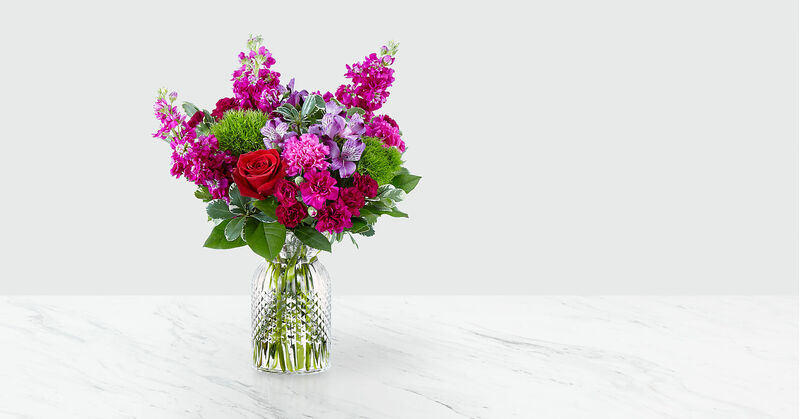 Brighten up your Valentine's Day with a bouquet that has a message of love bursting from the vase. 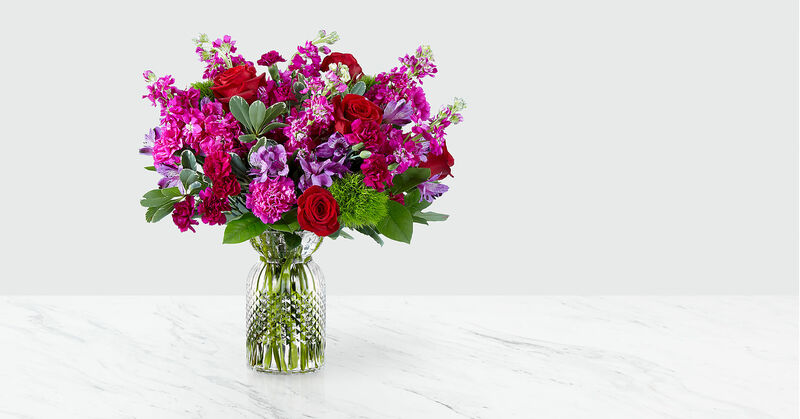 Comprised of an array of red roses, green trick dianthus, fuchsia stock and purple alstroemeria, Our Falling for You Bouquet is full of romantic blooms that will captivate your special someone. 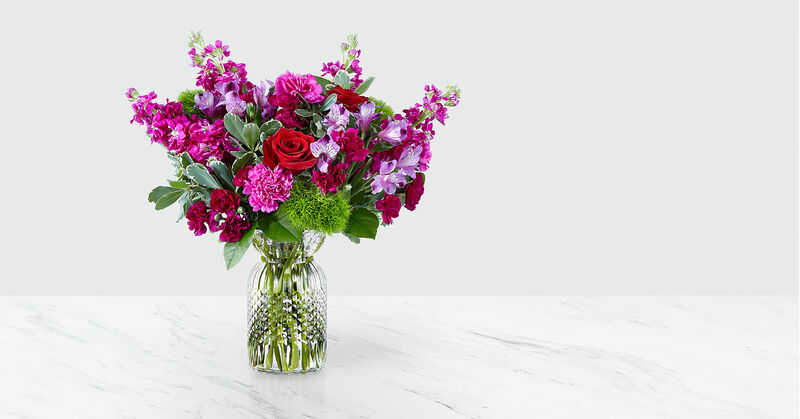 This arrangement is artfully complete with violet mini carnations, fuchsia standard carnations, variegated pittosporum, and luscious salal, making it a bouquet that shines with effortless beauty. GOOD bouquet is approx. 16"H x 14"W. BETTER bouquet is approx. 17"H x 15"W. BEST bouquet is approx. 18"H x 17"W.